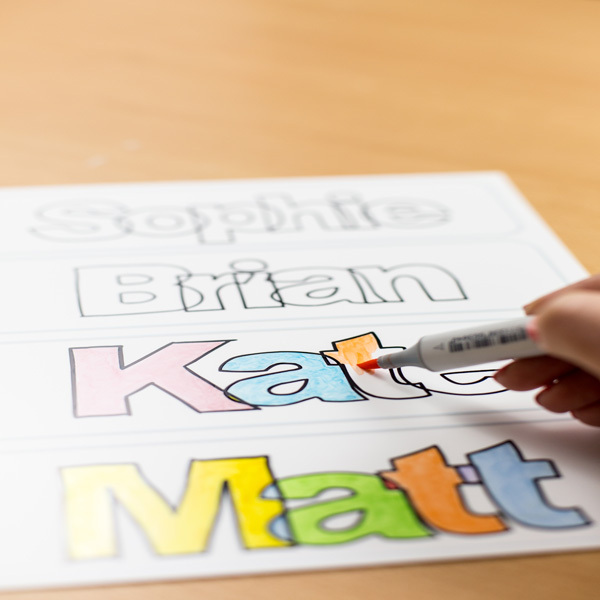 Project Description: Use Shrink Film to create a set of classroom magnets that can be used throughout the year in a variety of ways. 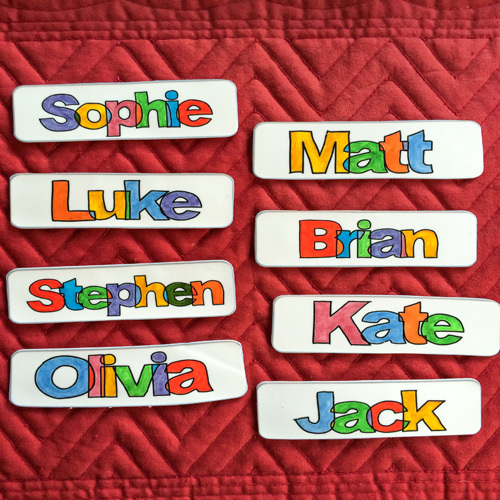 When the school year ends, each child can take home his or her magnet as a keepsake. Note: Use regular (non-inkjet) shrink film and write the names with stamps or a permanent marker. The colors will intensify when the shrink film is heated. After some trial and error these shades produced the rainbow color scheme I was looking for. Note that these steps refer to Microsoft Word. Create a new blank document. Use the shape tool to draw a rectangle with rounded corners that is approximately 7 ¾” x 2 ½”. Change the fill color to “No Fill” and the line color to a very light blue. Copy and paste this shape three more times and distribute them evenly down the page. Create a text box and type a name using 2Peas Cross Eyed or another font that can be colored in. Size the text to fit the rectangle. Repeat for each name. 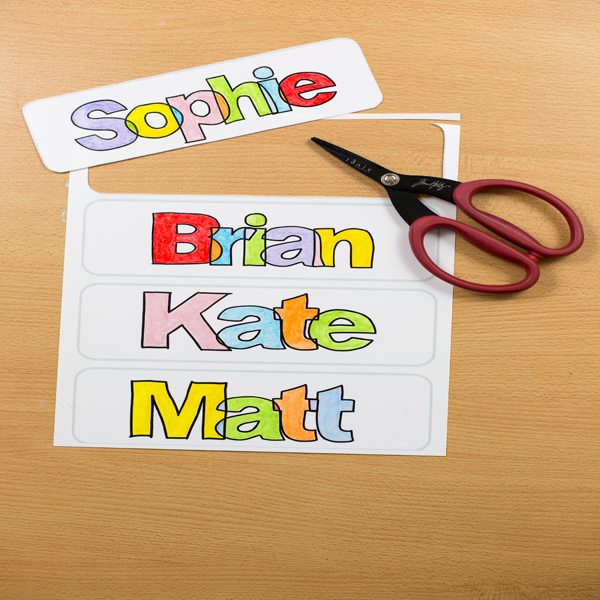 Tip: Save each page of four names as a separate document in case you need to recreate these if one is lost or broken. 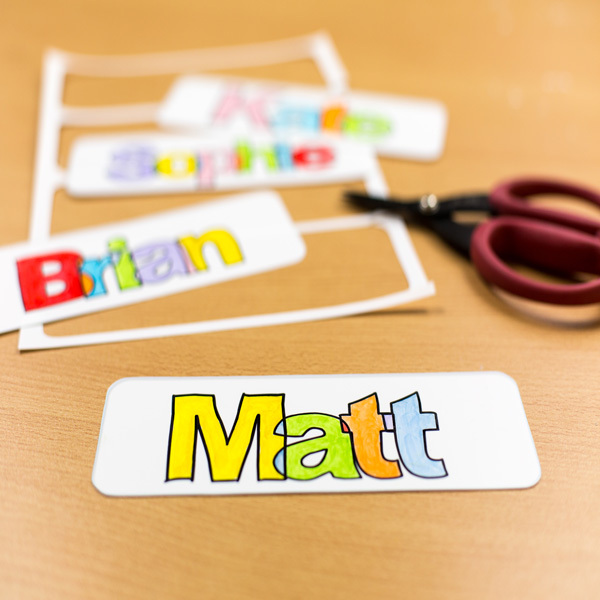 Print each page of names onto a sheet of inkjet shrink film. 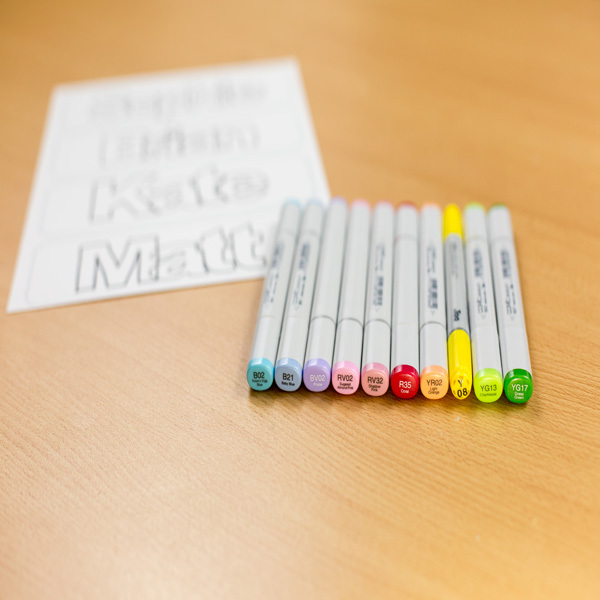 Color with markers and use the outline as a guide to cut out each rectangle. Follow manufacturer’s instructions to shrink the film using an oven or heat tool. 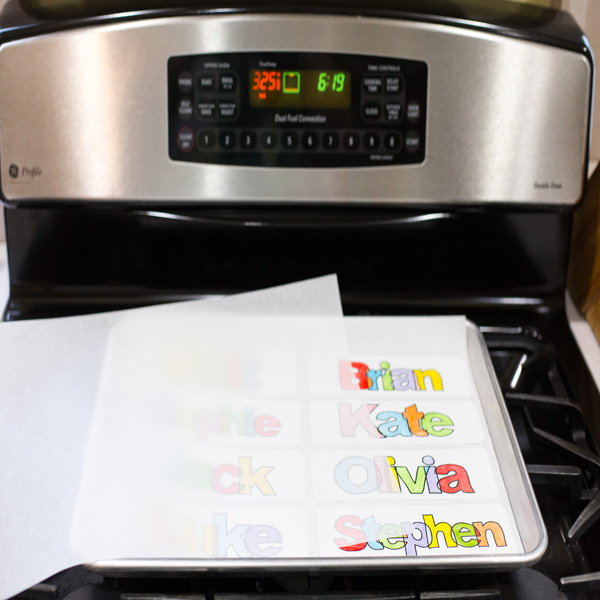 Tip: When using an oven, place the shrink film between two sheets of parchment paper. This helps the plastic retain its shape while shrinking and helps prevent it from twisting. If needed, the plastic can be flattened by pressing it with a metal spatula while it is still warm. Adhere magnet to the back of the rectangle.